Fertilizer - We manufacture and sell high quality fertilizer in both liquid and granular forms. We also offer delivery and spreading services if needed. 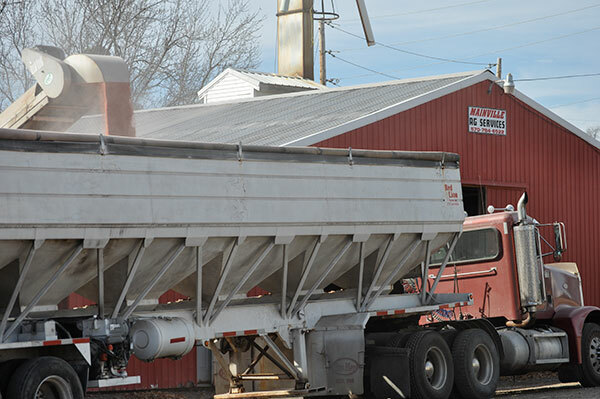 From 50 pounds to 50 tons, we have fertilizer to meet every farmer’s needs. Lime – We stock both bulk and bag lime in high calcium or high magnesium varieties. If you’d like, we can deliver and spread damp lime for you in one of three spreading trucks, including a brand new, New Leader L4000 G4 Spreader. Chemicals – We offer a wide range of agricultural chemicals for crop management and protection. PowerAG – Mainville Ag is your source for PowerAG products, including soil and foliar micronutrients to help boost the yield of your crops.